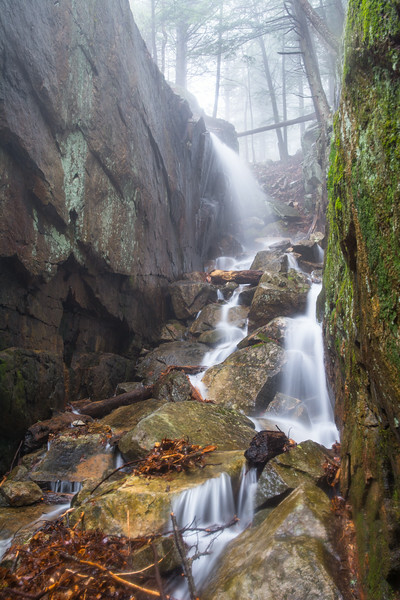 Color images of waterfalls from New England, New York, and Pennsylvania. A normally bone-dry ravine on the Weathersfield Trail on Mt. Ascutney, VT fills with water during the spring melt.